Unlike fishes, secondary swimmers (terrestrial animals that returned to an aquatic environment) have no such specific adaptations to the buoyancy problem. They all rely on simple density adaptations to help them. For example, the bones of diving birds are less pneumatic, and their air sacs are reduced (loons, penguins). 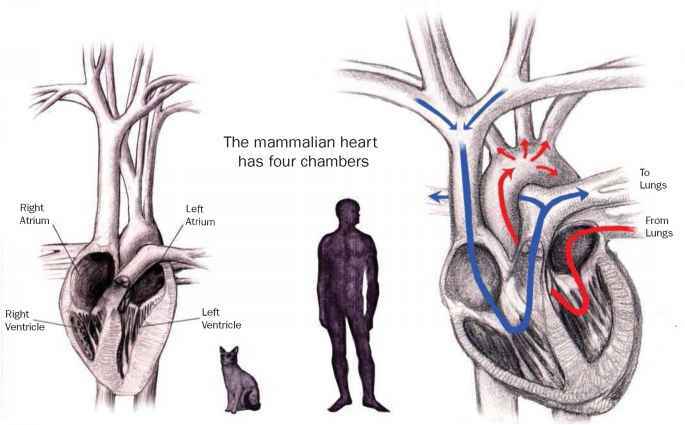 Mammals that dive deep may hyperventilate before submerging, but they do not fill their lungs. Indeed, they may exhale before diving. Deep-diving whales have relatively small lungs. Sirenians, which may feed while resting on the bottom or standing on their tails, have unusually heavy skeletons; their ribs are swollen and solid. Likewise, the skeleton of the hippopotamus is also unusually heavy. The presence of blubber in marine mammals also contributes to their overall density, and walruses (Odobenidae) have two large air pouches extending from the pharynx, which can be inflated to act like a life preserver to keep the animals' head above water while sleeping.